Tried & True is a quirky little cafe on Upper Richmond Road in Putney. Craig and I live very near by but have never stopped to try it out.So this weekend, we decided to head to Tried & True for some coffee and of course, breakfast- my absolute fav meal of the day! Keep reading to find out more about our experience there. We ended up going for quite a late Sunday brunch – which is totally ” the thing” to do in London, just by the way. We arrived at about 11am and it was nice and quiet, or so we thought. About 15 minutes into us sitting down, an in flux of people starting coming in and very quickly the cafe was completely full- not a table in sight! That is always a great sign that a cafe/restaurant is doing really well. We got a table inside as the outside area was full- which was still very pleasant and had a great vibe. The ceiling has plenty of sun roofs to let the light in and the smell of coffee livens up the atmosphere. There are also seats outside the front of the cafe- although there are quite a few cars that go up and down that road, so it might not be as pleasant. I ordered the smashed avo on toast with feta and a poached egg and Craig had the salmon scramble. Breakfast was alright… not the best I have had. The salmon was definitely the better choice and something I would order next time but I don’t think I would order the smashed avo again. It just didn’t do it for me. I don’t think it was worth the price, if that makes sense? However, on a positive note, Tried & True’s coffee is amazing!! It is definitely a place I would go out of my way to go to to have their coffee. The service was great and the ambiance was awesome. I haven’t tried anything else on the menu but would suggest giving them a chance to make your day awesome. They are always open and often very busy, so make sure to get there slightly earlier (especially on the weekend) to grab yourself a table. Give them a try, you might find out that what you try resonates “truthfully” to you and you might be back… see what I did there? lol! 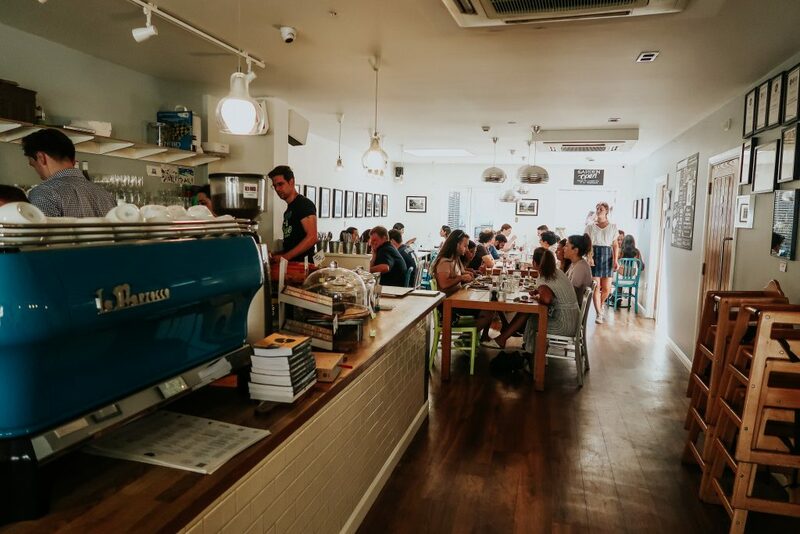 If you would like to check out some other breaky spots in Putney, then check out my post on Ground Coffee Society – each place offers something different which makes the experience unique and enjoyable!